One of the main observances of Purim, is to give monetary gifts of charity to poor people on Purim. 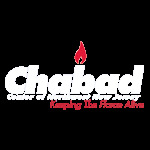 Rabbi Herson will be distributing monetary gifts to the needy and can represent you in your acts of charity. Please participate by giving your tax-deductible contribution which will be distributed on Purim.